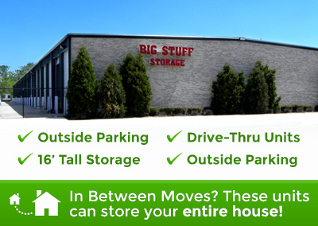 Big Stuff Storage is your self storage headquarters for large item storage. Perfect for industrial, commercial, contractor and distributor storage needs. Self storage for boats, snowmobiles, cars, seasonal items, motorhomes and much more. We are your source for storage located in Northern Illinois. If you need it stored, we have the storage facilities to meet your needs. Self storage at its finest. 1 day of free truck use at move in with our 14 foot box truck!